For breakfast, I'm more of a savory than sweet kind of girl, but still there's nothing like spreading some delicious jam on a piece of toast in the morning or for a snack. It's almost like dessert to me! Rachel Saunders, founder of Blue Chair Fruit Company and author of The Blue Chair Jam Cookbook, has been perfecting the art of preserving and dreaming up yummy concoctions using sustainably farmed local fruit. So I took some time to talk to her about seasonal recipes and how you can turn your own marmalade creations into a lovely homemade gift. What has drawn you into the world of jam and marmalade? Did you grow up making them from scratch at home? 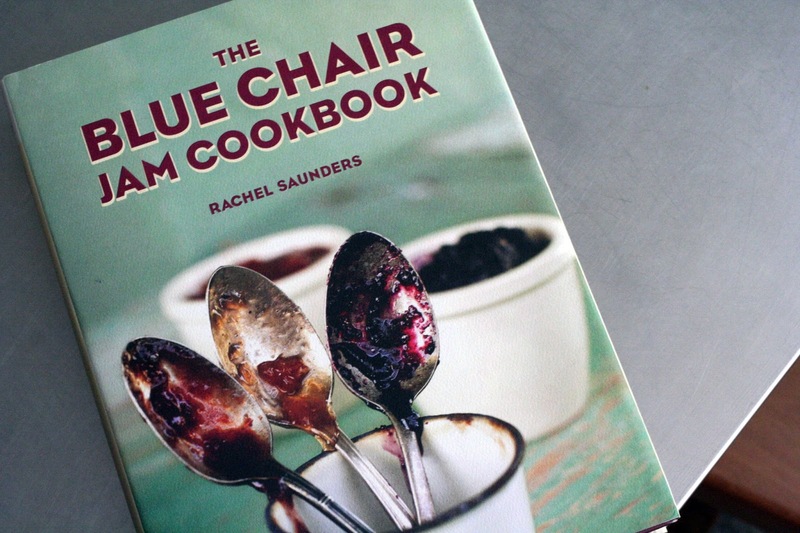 I was initially drawn into jam and marmalade making from my love of cooking and baking and my love of produce. I am also someone who loves to master new skills - I'm a big believe in the 10,000-hour theory - and jam and marmalade bring together so many things dear to my heart. There is a technical side, but it's in the service of an aesthetic ideal. What I really do is explore flavors and ideas - jam and marmalade just happen to be the medium! What has always been your favorite flavor combination? Or what flavors are you enjoying these days? People always ask me what my favorite flavor is and I always respond that it's the one I made two weeks ago! We make so many different flavors that this one already seems as if it needs to be rediscovered, but also still seems fresh and exciting... Aside from this, though, I would say that what I love most personally is a perfectly balanced marmalade, such as our Lemon and Pink Grapefruit Marmalade. But it's hard to choose a favorite child! What is your favorite jam recipe that would be great to serve during the holidays? One of my favorites that we have available right now is our Blood Orange-Chestnut Honey Marmalade with Rosemary. It's really beautiful and complex in a very Italian way, although it's not like anything you would find in Italy. But its flavor profile is warm and refined - perfect for Christmas. At the other end of the spectrum, I love our French Crabapple-Damson Butter. I think it would be fabulous on latkes! What are some great side items to serve alongside jam? Jam can add an accent to just about anything; I think of it as just a really intense flavor essence; a little goes a long way. I think Thanksgiving is a great example of this, because what we call cranberry sauce is actually a cranberry jam! I love having jam on a cheese plate or with cheese for breakfast, or alongside any really savory main course. Natural choices for the latter would be tomato jam. plum jam, our French Crabapple-Damson Butter, or any slightly bitter orange or lemon marmalade - things that have a slightly savory aspect to begin with. Do you have any favorite products/brands that you love to serve your dishes on? What kinds of jars do you use for preservation? 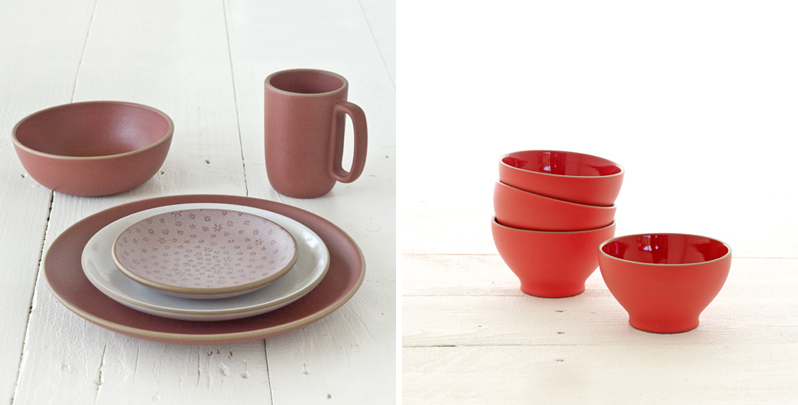 One of the most wonderful lines in the country is located close to where I live: Heath Ceramics. As far as jars, we sell straight-sided 9-oz canning jars that are very elegant and functional. The Weck jars you see from Germany are very beautiful, but I'm not completely convinced of their functionality. How can jam be turned into fun, unexpected holiday gifts? If you have any creative tips on how to present them, we'd love to know! Jam makes the best stocking stuffer ever! I know from experience - our jars fit perfectly in the toe of a stocking! 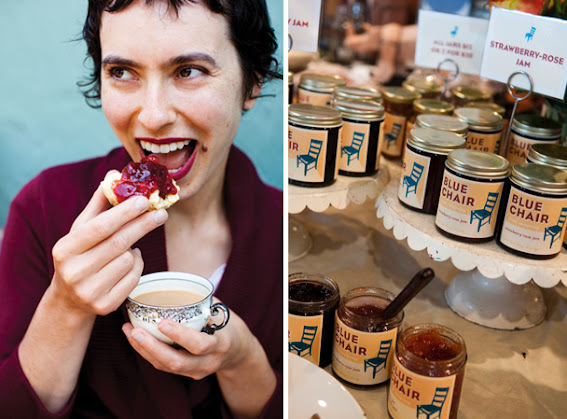 We have many fun options for the jam or marmalade lover in your life, including a Jam Club and gift-wrapped three-packs. But if you just want to present a single jar in a fun way, I would suggest combining it with a few other goodies, such as mulled wine or cider mix, some sort of special cheese, a fun jam spreader or spoon, or something fun and homemade to put the jam on. As I have gotten older, I've found that these are the sorts of gifts people really appreciate; most of us don't need more stuff! Something delicious and a little out of the ordinary is more fun for everyone! Do you have any other holiday-related tips or creative how-to's for hosts? When we have our annual holiday party at our kitchen, we always serve a selection of our jams on really good bread with really good cheese, and everyone loves it - many people have never thought about jam this way, but when you taste different jams side by side you really begin to see how fun and distinctive they all are. I think that this would be perfect for any holiday gathering! 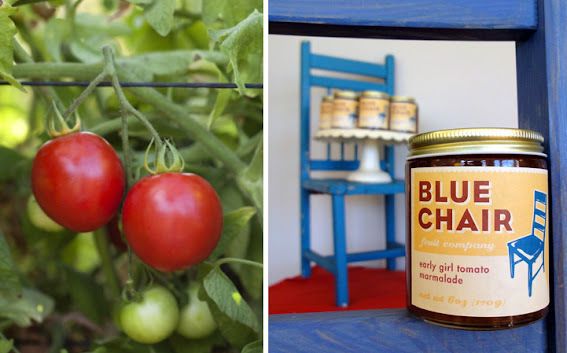 For recipes to Blue Chair Fruit Company's Early Girl Tomato Marmalade and Lemon and Pink Grapefruit Marmalade be sure to click below! Tomato marmalades are the perfect partners for crackers, cornbread, or sourdough. They have a long history in the United States, where they were traditionally seen as a way to use up extra fruit during summer’s long tomato season. Like tomato jam, they tended to be heavily spiced with cinnamon and cloves. For this lighter version, I have introduced saffron into the mix. The result is magic. First, prepare the lemon and orange slices: Place the slices in a wide stainless-steel kettle and cover amply with cold water. Bring to a boil over high heat, boil for 1 minute, and then drain, discarding the liquid. Return the slices to the kettle and cover with 1 inch cold water. Bring to a boil over high heat, then decrease the heat to medium and cook, covered, at a lively simmer for 30 to 40 minutes, or until the fruit is very tender. While the citrus is cooking, prepare the tomatoes: Bring a medium kettle of water to a boil, and then carefully drop the tomatoes into the water to loosen their skins. Leave the tomatoes immersed for 1 minute, and then drain them in a large colander. When they are cool enough to handle, peel them over a large bowl, discarding the skins. Using your hands, gently tear the tomatoes into medium pieces. When both the citrus slices and tomatoes are ready, put them together into a nonreactive heatproof storage container with the sugar, lemon juice, and saffron, stirring well to combine. Cover tightly and refrigerate overnight. Place a saucer with five metal teaspoons in a flat place in your freezer for testing the marmalade later. Remove the tomato mixture from the refrigerator and transfer it to an 11- or 12-quart copper preserving pan or a wide nonreactive kettle. Add the cinnamon stick and stir well to incorporate any undissolved sugar. Bring the mixture to a boil over high heat. Cook at a rapid boil until the setting point is reached; this will take a minimum of 30 minutes, but may take longer depending on your individual stove and pan. Initially, the mixture will bubble gently for several minutes; then, as more moisture cooks out of it and its sugar concentration increases, it will begin to foam. Do not stir it at all during the initial bubbling; then, once it starts to foam, stir it gently every few minutes with a heatproof rubber spatula. As it gets close to being done, stir it slowly every minute or two to prevent burning, decreasing the heat a tiny bit if necessary. The marmalade is ready for testing when it turns slightly shiny and its bubbles become very small. To test the marmalade for doneness, remove it from the heat and carefully transfer a small representative half-spoonful to one of your frozen spoons. It should look glossy, with tiny bubbles throughout. Replace the spoon in the freezer for 3 to 4 minutes, then remove and carefully feel the underside of the spoon. It should be neither warm nor cold; if still warm, return it to the freezer for a moment. Tilt the spoon vertically to see whether the marmalade runs; if it does not run, and if its top layer has thickened to a jelly consistency, it is done. If it runs, cook it for another few minutes, stirring, and test again as needed. When the marmalade has finished cooking, turn off the heat but do not stir. Using a stainless-steel spoon, skim off any surface foam and discard. Remove the cinnamon stick. Pour the marmalade into sterilized jars and process according to the manufacturer’s instructions or as directed on page 42. Prepare the cooked lemon juice: Bring the pan with the lemon eighths to a boil over high heat, then decrease the heat to medium. Cook the fruit at a lively simmer, covered, for 2 to 3 hours, or until the lemons are very soft and the liquid has become slightly syrupy. As the lemons cook, press down on them gently with a spoon every 30 minutes or so, adding a little more water if necessary. The water level should stay consistently high enough for the fruit to remain submerged as it cooks. Meanwhile, prepare the sliced lemons: Place the slices in a wide stainless-steel kettle and cover amply with cold water. Bring to a boil over high heat, then decrease the heat and simmer for 5 minutes. Drain, discarding the liquid. Return the lemon slices to the kettle and cover with 1 inch cold water. Bring to a boil over high heat, decrease the heat to medium, and cook at a lively simmer, covered, for 30 to 40 minutes, or until the fruit is very tender. As the fruit cooks, stir it gently every 15 minutes or so, adding a little more water if necessary. The water level should stay consistently high enough for the fruit to remain submerged as it cooks. Remove the pan from the heat, cover tightly, and let rest overnight at room temperature. 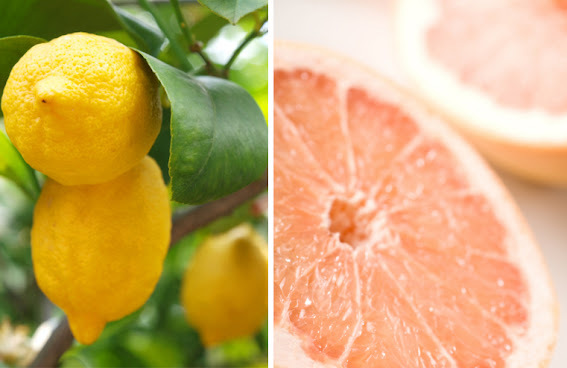 Last, prepare the grapefruits: Cut them in half, squeeze the halves, and strain their juice. Cover the juice and place it in the refrigerator. Put the juiced grapefruit halves in a large nonreactive kettle and cover them amply with cold water. Bring to a boil over high heat, then decrease the heat to medium and cook at a lively simmer for 5 minutes. Drain, discarding the liquid. Repeat this process, then return the blanched grapefruit halves to the kettle and add cold water to cover. Bring the halves to a boil over high heat, then decrease the heat to medium-low and cook, covered, at a lively simmer for 1 to 2 hours, or until the fruit is easily pierced with a skewer. As the grapefruit cooks, press down on it gently with a spoon every 30 minutes, adding more water if necessary. The water level should stay consistently high enough for the fruit to remain submerged as it cooks. When the grapefruit is tender, remove the pan from the heat, cover tightly, and let rest overnight at room temperature. Remove the plastic wrap from the lemon eighths and their juice and discard the lemons. Strain the juice well through a very fine-mesh strainer to remove any lingering solids. Prepare the grapefruit: Remove the grapefruit halves from their kettle, reserving the cooking liquid. Over a large bowl, use a soup spoon to scoop the flesh from each grapefruit half. Then, take each half and, cradling it in one hand, use the spoon to gently scrape its interior of excess pith and fibers. Repeat with the rest of the halves, going around each one two or three times until its interior is smooth and its rind is a uniform thickness. Cut each grapefruit half into 5 equal strips, then cut each strip crosswise into thick slices and reserve. Strain the scraped pith and fibers, along with the mushy interiors of the grapefruits, back into the cooking liquid, letting them drip for several minutes. Discard the solids. Pour the liquid through a fine-mesh strainer. In a large mixing bowl, combine the sugar, strained grapefruit cooking liquid, reserved fresh grapefruit juice, reserved grapefruit rinds, cooked lemon juice, fresh lemon juice, and lemon slices and their liquid, stirring well. Transfer the mixture to an 11- or 12-quart copper preserving pan or a wide nonreactive kettle. Bring the mixture to a boil over high heat. Cook at a rapid boil until the setting point is reached; this will take a minimum of 30 minutes, but may take longer depending on your individual stove and pan. Initially, the mixture will bubble gently for several minutes; then, as more moisture cooks out of it and its sugar concentration increases, it will begin foaming. Do not stir it at all during the initial bubbling; then, once it starts to foam, stir it gently every few minutes with a heatproof rubber spatula. As it gets close to being done, stir it slowly every minute or two to prevent burning, decreasing the heat a tiny bit if necessary. The marmalade is ready for testing when its color darkens slightly and its bubbles become very small. To test the marmalade for doneness, remove it from the heat and carefully transfer a small representative half-spoonful to one of your frozen spoons. It should look shiny, with tiny bubbles throughout. Replace the spoon in the freezer for 3 to 4 minutes, then remove and carefully feel the underside of the spoon. It should be neither warm nor cold; if still warm, return it to the freezer for a moment. Tilt the spoon vertically to see whether the marmalade runs; if it does not run, and if its top layer has thickened to a jelly consistency, it is done. If it runs, cook it for another few minutes, stirring, and test again as needed. When the marmalade has finished cooking, turn off the heat but do not stir. Using a stainless-steel spoon, skim off any surface foam and discard. Pour the marmalade into sterilized jars and process according to the manufacturer’s instructions. Day 3? Goodness... that's an involved recipe!! But nothing beats the taste of an extra good marmalade!